As the pupils enter their first formal year of schooling, they join the reception class. This is a fascinating time in young pupils’ development as they begin to read, write, and start using numbers more confidently. The Early Years Curriculum forms a solid basis in the fundamentals as the pupils prepare for key stage one. The EYFS learning environment is organised to allow children to explore and learn securely and safely. There are areas where the children can be active and creative as well as quiet and calm. The environment is set up in learning areas where children are able to find and locate equipment and resources independently. At Campsbourne School, we create learning opportunities around the 7 identified areas of learning. This is crucial for all aspects of life and will give the children the best opportunity for success in other areas of learning. We aim that each child has a positive sense of themselves and respect for others. We aim to improve children’s co-ordination skills, their control, manipulation and movement in space. Physical activity helps children to gain confidence and feel positive about being healthy and active, as well as promoting a positive feeling of well being. We aim to develop key skills in order to develop confidence in speaking and listening in a range of settings and for a variety of purposes. Pupils study a wide range of texts, explore different forms of writing, and develop awareness of environmental print. We follow the Read Write Inc phonics program. By the end of the foundation stage, our aim is for children to be able to read and write simple texts by themselves. We follow the Maths Mastery Program from Reception onwards. We aim to develop confidence and competence in learning and using key numerical skills including counting, sorting, matching, seeking patterns, making connections, recognising relationships and working with numbers, shapes and space and applying maths in everyday situations. 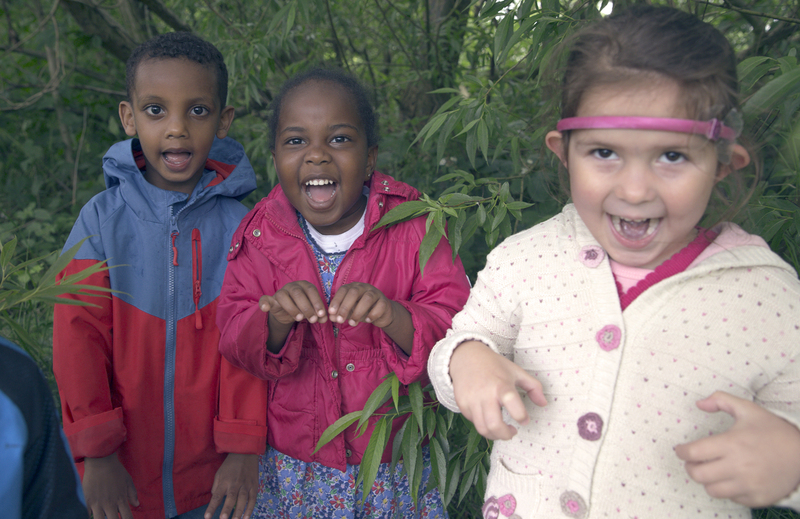 This aspect of the foundation stage curriculum aims to help pupils make sense of the world by showing awareness about different people and communities, Investigating and showing care for living things and comparing different environments. Foundations are developed for science, design and technology, history, geography and information, communication technology (ICT). Each class is equipped with an interactive smart board, and resources on their level, which helps them to interact and enhance their skills on a daily basis. This aspect is fundamental to successful learning. It enables children to make connections and extend their thoughts, feelings and understanding and includes art, music, dance, role-play and imaginative activities. Providing a ‘Family Section’ in the child’s portfolio for parents to share family information and offering opportunities to look at portfolios and leave comments relating to the children’s achievements. We recognise the importance of the outdoor environment to support learning and development and provide regular opportunities for children to explore the local area around the school. From autumn term 2016, we aim to establish ‘Forest school’ for the Nursery children first and then roll out across the foundation stage. Forest School activities provide valuable opportunities to experience nature first hand and enable children to learn about keeping safe, taking risks, investigate living plants and animals and problem-solve whilst increasing their confidence and self-esteem. Children develop their language, literacy and Maths through purposeful real-life experiences.